Audio: MUD, Tonylight – Visuals: FD, xo00, Androsyn, Orgone – Hardware implementation: FD, Tonyligth, peppo lasagna. 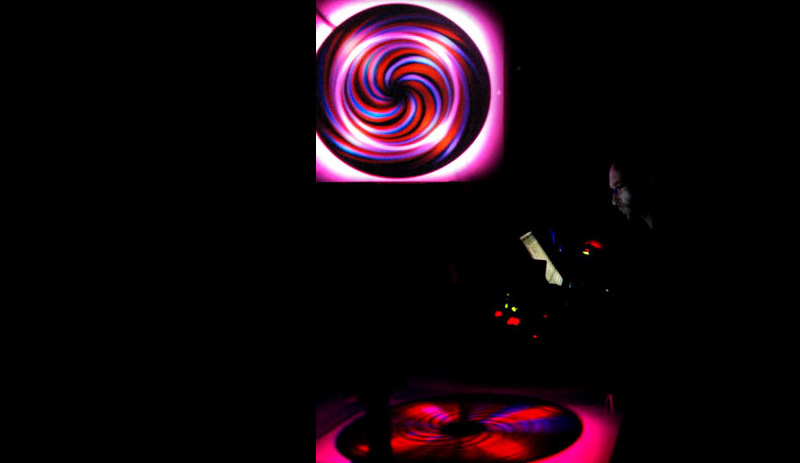 Circo Ipnotico is an A/V liveset made with a mixture of analog and digital tecniques. Visually the main elements are otolab selfmade. One is hardware the other is software. 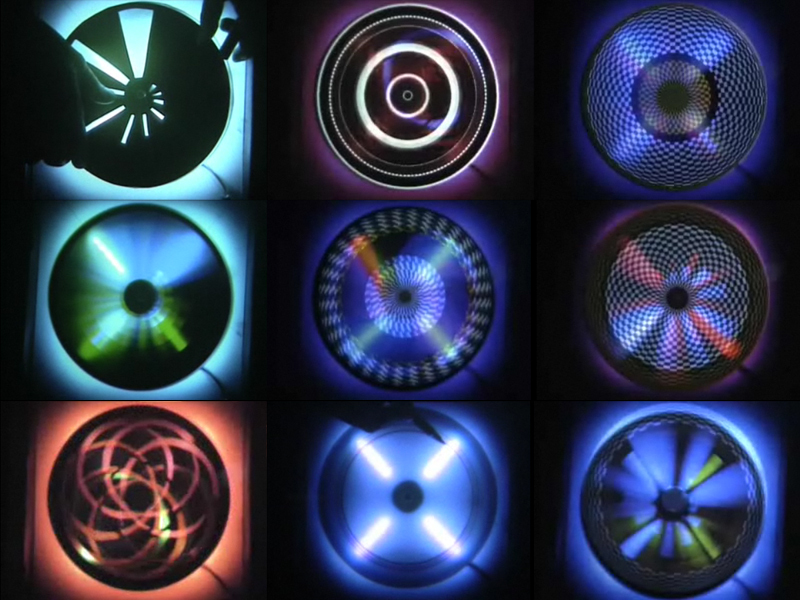 The first rotating element, called Psycoscopio, was created by FD, then Tonylight and Peppo Lasagna added RGB leds with separate controllers for lighting intensity and blinking speed. The second visual sources is a realtime generative optical-pattern, made with a software running on DOS laptop created by Peppo Lasagna, called Pepposcopio. During live set one performer is mixing the two video sources following audio partiture and the visual storyboard. There are no direct syncronisation among audio and video instruments. This audiovisual performance was created with the concept of “open set” and performers have got realtime interplay thru several reharshals.